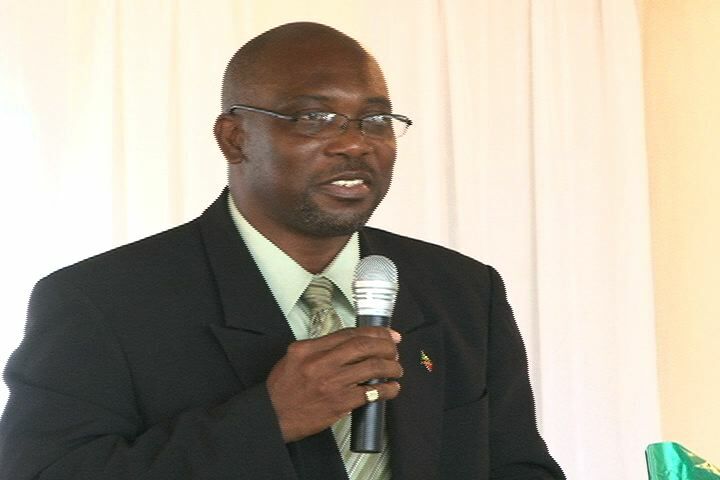 NIA-CHARLESTOWN NEVIS (April 13, 2011) — Minister responsible for Public Utilities and Energy on Nevis Hon. Carlisle Powell told staff of the Nevis Electricity Company Ltd. (NEVLEC) that the entity had become trusted by Nevisians for its reliability and the envy of the region for its success in renewable energy. The Minister was at the time addressing staff at a retreat at the Occasions Conference Centre on Wednesday, while he urged staff to band together for Company’s continued progress and success. “By working together you have created a utility that the people of Nevis trust. This did not happen by mistake, it happened because of good planning, good teams and good management. By working together, NEVLEC became the first utility in the Organisation of East Caribbean States (OECS) and only the second in CARICOM to provide consumers with power supplied by a wind farm. “Some of you may take this for granted but the eyes of every Utility [entity] in the Caribbean from Jamaica in the north to Guyana in the south are fixed on Nevis. NEVLEC is envied because of your success story in wind and the continued move towards geothermal energy,” he said. Minister Powell reiterated NEVLEC’s position once the geothermal plant was commissioned and reminded the staff that the utility would become the first in the Caribbean to be powered by 100 percent green energy. He also added that when St. Kitts began to receive geothermal power, NEVLEC would become an exporter of power and in his view in the next five years the utility could become one of the biggest companies in the Federation of St. Kitts and Nevis. “The World Bank report on the Caribbean Interconnect and the Presidential Task Force Report on Puerto Rico all envisage Puerto Rico and other islands buying geothermal power from Nevis. “I suggest when this happens by 2020, NEVLEC would be well on its way to becoming one of the biggest companies in the Caribbean. Let’s make it happen! This was our goal when we negotiated the Power Purchase Agreement with WindWatt and West Indies Power Ltd. All power sold by West Indies Power Ltd. in St. Kitts and Nevis must be sold to NEVLEC,” he stated. Meantime, Mr. Powell congratulated the Company on its 11th year as a viable business entity. He pointed to the St. Kitts Electricity Department which was a bigger and older utility that was currently in the process of corporatization. He reminded the workers that 11 years ago they came together at a time when some workers were uncertain what the future held for a new company that was thrust into the deep and dangerous waters of business without the protection of business as usual with the government. The Public Utility Minister said 10 years in the life of a unity was considered short but encouraged the staff to see their first 10 years as the start of their “keeping together”. In that initial period he told them they had shaped the new face of NEVLEC. “In light of this roller coaster ride you have done a remarkable job. I say this because our power supply is more reliable than at any point in the history of Nevis. The people of Nevis now take electricity for granted. When they flick the switch, they expect to see lights. On the rare occasions when we have a power failure, people no longer panic. They know that outages are but brief,” he said. The retreat was hosted by NEVLEC’s Human Resource Department.